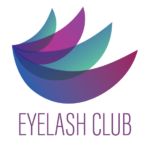 Our website address is: https://eyelashclub.com. Personal information (name and email) collected from Contact Forms are for direct communication purposes only. This information is not stored or shared with any company, persons or third party entities. This website, like most other websites, stores analytic cookies on your computer. These cookies are used to provide a more personalized experience and to track your whereabouts around our website in compliance with the European General Data Protection Regulation (GDPR). If you decide to to opt-out of any future tracking, an opt-out cookie will be setup in your browser to remember this choice for one year. The hosting provider for this site may collect data for customer service purposes, but takes privacy very seriously. You can read the standards and practices they maintain here. Eyelash Club does not share your personal information with any company or persons. Data aquired during purchases made via Stripe are covered under the data policies of Stripe. For privacy concerns, please contact our web development team at Bleazy USA. By utilizing secure payments through Paypal, the use of a SSL certificate for encryption, and Firewall / Malware protection software installed on the site, we are commited to privacy and safety. This site utilizes a SSL (Secure Sockets Layer), which is a standard security protocol for establishing an encrypted link between a server and a web browser. This link ensures that all data exchanged between the browser and the server remains secure. This prevents 3rd parties from eavesdropping on the communication between the user and the site. This site utilizes firewall and malware protection software to detect and detour harmful bots, phish attacks and other security related breaches.